Celebrities all seem so perfect. Thanks to their airbrushed magazine covers and professional makeup on the big screen, it's hard to believe they could ever make fools of themselves. For a little dose of reality, we offer you the chance to see some of your favorite celebrities in a whole new light with this list of celebrity game show fails. Below you’ll find a hilarious collection of celebrities on game shows that prove, once and for all, that at the end of the day, celebrities have just as many awkward moments as the rest of us. As we combed the halls of game show history, we’ve been able to find a plethora of hilarious game show appearances, some of which were made by celebrities before they were famous. Catch celebrities like Arnold Schwarzenegger, Jon Hamm, and Lady Gaga failing at game shows before they made their big breaks as famous stars. Or see celebrities at the height of their fame failing it up with the rest of us as they give us a refreshing look at the real people behind their personas. 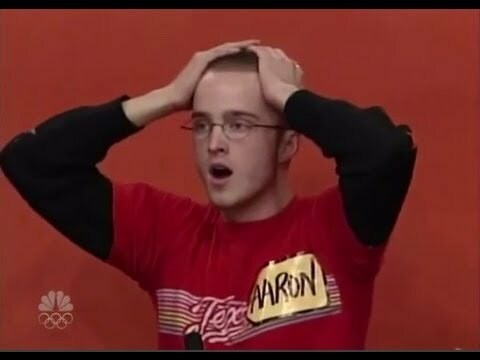 Aaron Paul appeared as a contestant on The Price is Right before he was famous in 2000. He may not have been the luckiest contestant in the show's history, but he was quite possibly one of the most enthusiastic. In a question that was doomed from the start, Burt Reynolds pulls off a fail so funny we don't even care what the right answer was. 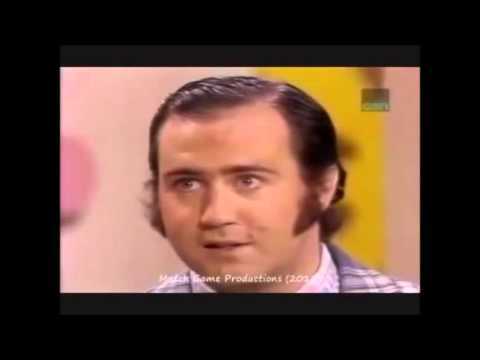 Before Andy Kaufman became a household name on Taxi, he somehow finagled his way onto The Dating Game, claiming his name was Baji Kimran. Watch as he baffles the show's host, Jim Lange, with his adorable answers. They may not have won him the girl, but they definitely won over countless fans in the audience. We have to say, Kareem's priceless answer to this question seemed pretty valid, even though it was the exact opposite of what the judges were looking for!